This course starts in September 2019 and runs for one year. Successful completion of the Level 2 Certificate/Diploma in Culinary Skills. Completion of an NVQ Level 2 in a related hospitality subject with relative industrial experience may also be considered. Advanced Professional Cookery Level 3 City and Guilds 7100. The Diploma in Professional Cookery is for anyone who works or wants to work as a chef in the catering and hospitality sector. It is ideal for learners coming straight from school who wish to seek a career in this industry. It is also ideal for those chefs in industry who would like to continue or refresh their knowledge by undertaking topics within the qualification. There is also the opportunity to achieve additional qualifications. A varied mix of assessment methods are employed throughout this course assessing both practical assignments and coursework. You will require lever arch files and plastic wallets and you will be expected to supply your own notepads, writing and general stationery equipment. A small number of textbooks may be recommended at the start of the programme. Details of other equipment and kitchen uniform you may need will be discussed at interview. 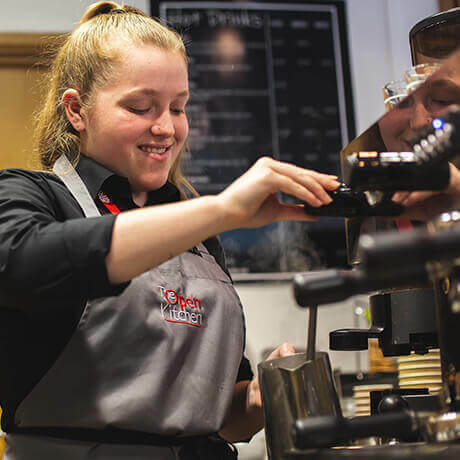 Employment- On completion of this programme, you could obtain employment within the hospitality and catering industry in a supervisory role as Kitchen Staff or Chef. Education- Alternatively, you could progress into higher education to study a related Higher National Diploma or Degree.